There are many homeowners who like to do their own repairs around the house, including many plumbing jobs, but there are situations when you start doing the job yourself only to run into problems. The following are three situations where, even though you started the job, you should call the plumber to finish it. You have used a plunger to unstop the toilet, but a little while later, you find that it is stopped up again. It is true that a quality plunger, combined with the strength to use it, can occasionally be successful, but the problem with the toilet may be an object lodged inside the trap way. You need to call a plumber to have this object removed. Another possible problem is that you have plant roots in your main drain line. You may experience the water slowly moving down the bowl. Any improvement you experience using a plunger is an allusion. It is possible that the slow flushing of the toilet is causing some toilet paper to get lodged inside the trap way, and this is removed with a good plunging, but a plumber needs to be called to use a rotor snake to cut away the roots in your main drain line. You have a kitchen sink that is draining slowly or is clogged up. After using a plunger or perhaps some drain cleaning chemical you found at the hardware store, the problem seems to have gone away. However, this is not long lasting, and the stoppage returns. The problem you may have is a soft stoppage. This is a drain that is clogged up with grease and other soft materials. Once the stoppage is cleared, it simply reassembles farther down the drain pipe. You need to call a plumber to clean the entire drain pipe so the problem is solved permanently. If you have a plumbing problem and have no clue how to fix it, then call a plumber right away, but equally important is to know when to quit when you try to fix it yourself. It is true that there are minor issues you can handle on your own, but you need to know when to quit. 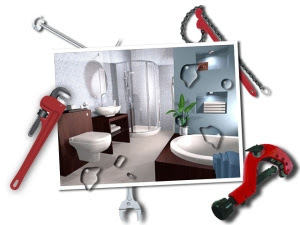 If you experience any of the problems outlined above, plumbers in naperville are ready to come to your home and remedy the problem.